Lymphoma in dogs or canines is a kind of cancer described by a proliferation of malignant lymphocytes within solid body parts such as the lymph nodes, bone marrow, liver and spleen. The most common presentation of lymphoma in dogs is peripheral lymph node enlargement, in an otherwise healthy dog. This kind of animals disease also may infect in the eye, skin, and gastrointestinal tract. The disease also known as lymphosarcoma. 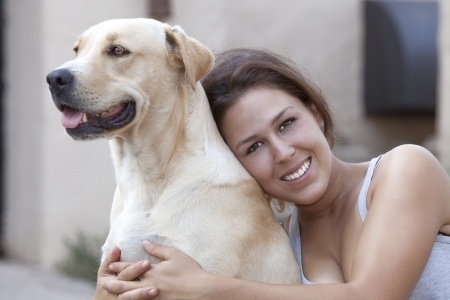 Chemotherapy is the main treatment for lymphoma in dogs. Chemotherapy treatment is considered the gold standard for this aggressive form of cancer and usually consists of a combination of oral and injectable drugs given on a frequent basis. The exact treatment protocol will vary depending on the veterinarian and financial resources of the dog's family. Prednisone therapy is the other dog lymphoma treatment. Prednisone is one of the most widely prescribed drugs in veterinary medicine, and also one of the most controversial. Prednisone is a corticosteroid that can kill tumor cells. However, it is not as effective as chemotherapy for treating lymphoma in dogs. Prednisone is primarily used to manage symptoms of the disease. Prednisone at high doses is extremely immune suppressive, making it a key drug in the treatment of a wide variety of inflammatory and immune-mediated diseases. There are several side effects of Prednisone treatment. a) The most common side effects associated with prednisone treatment consist of increased urination and thirst, increased hunger and weight gain, and panting. b) Muscle wasting, which can result in severe hind limb weakness, decreased stamina and perceived decrease in quality of life despite the patient achieving complete remission of the lymphoma. c) Changes in behavior: Prednisone use also results in dogs becoming restless and even aggressive. d) Loss of hair and changes in coat: Hair loss is a frequent side effect of using prednisone on dogs. In some cases, not only does the dog's coat become thinner, the healthy sheen also disappears. Some dogs will also develop hard to heal skin infections.